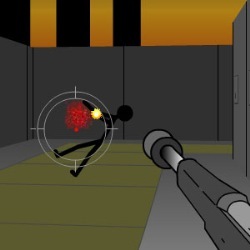 Shoot stickmen in this 3D secret agent game where you're infiltrating an enemy compound. 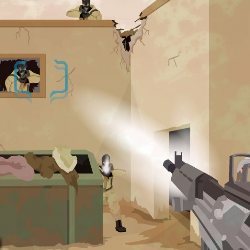 You have pistols, sniper rifles, machine guns, mines, explosive barrels, and more at your disposal, use them to eliminate your targets. Move using the WASD or ARROW Keys. Hold SHIFT while moving to sidestep. 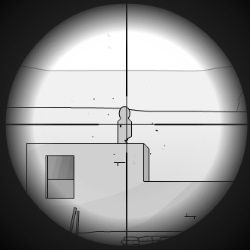 Use the MOUSE to aim and LEFT CLICK to fire. Press R to reload and Q to lay mines (one at a time when available). The SPACE BAR toggles zoom if your current gun has a scope. 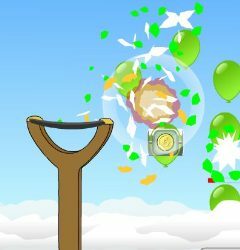 Click here to send Exit Wound to your friends using your default email program.